Decatur County Community Schools in southeast Indiana is a community of learners and educators. Our student-centric schools challenge students with a highly relevant curriculum and provide support for their endeavors and dreams within a safe and caring learning environment. We love what we do and are proud of our role in preparing young people for their future. Get to know some of our students, and it becomes obvious what makes us so great, but if that’s not possible, browse our website to learn what we’re all about. 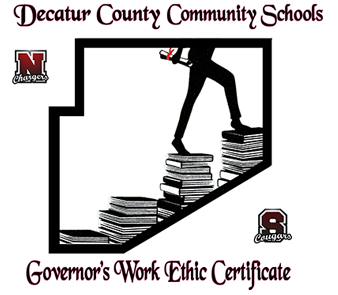 Decatur County Community Schools online registration will occur from July 22 to July 26. The Decatur County United Fund Board of Directors recently awarded a $5,000 grant to the Decatur County Community School Corporation for the 2019 Camp Invention program. Camp Invention STEM camp is June 10–14, 2019, from 9:00 a.m. to 3:30 p.m. Camp Invention is for children entering kindergarten through sixth grade. This notice is for taxpayers of Decatur County Community Schools that the proper officers of Decatur County Community Schools conducted a public hearing on the year 2019 proposed capital projects plan pursuant to IC 20-40-18-6 on Wednesday, August 22.